Our mission is to help activate the heart of humanity. Here at HeartMath, we believe that when we align and connect our hearts and minds we awaken our higher mental, emotional and spiritual capacities. This alignment also connects us with the heart’s intuitive intelligence - where we naturally choose the way of love and compassionate care for the well-being of ourselves, others and Planet Earth. Our dedicated team is passionate about this mission and has developed a system of easy techniques, technology and online programs that provide clear, concise methods for aligning the heart and mind, reducing stress and creating a deeper, richer experience of life. There are more than 300 peer-reviewed or independent studies that validate the beneficial outcomes that can come as a result of practicing this heart-based approach. If our work resonates with you, we hope you will explore how HeartMath’s methods can support your personal vision of living a heart-based life - and how it can facilitate other organizations and groups that are aligned with the vision of co-creating a better world. Who Can be Helped by HeartMath? Our hearts are much more than just a muscle that pumps blood. It is that part of us that houses our inner self or higher self, that part of us that knows all the answers. And for many of us it is the umbilical cord to the Divine. I have been a healer since the late 1990’s and am always looking to add to what I already know. 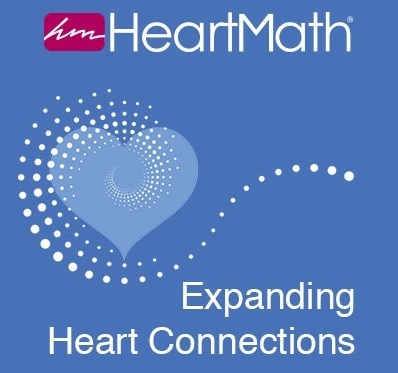 When I stumbled upon HeartMath Institute it was like finding the missing link. It was one of those ah-ha moments. HeartMath institute had put science behind what I already knew inside. But why the heart? What can the heart do for us and how can it help? If you haven’t read my article under Equine Assisted Therapy (which I recommend you do) the heart is everything. When we are cut off from our heart and its amazing ‘powers’ we experience the separation from our own true self and the energy that sustains us. Our heart is our energy regulator and sustainer. And that has everything to do with our decision making, our sleep patterns, how we respond to stress in our daily life, how we treat others, how others treat us, our ability to love and to receive love, our standing in our community or circle of friends and family, how well we perform at our jobs, careers and schooling, our resilience to illness and disease and how strong our intuition is. Learning the techniques and using the technology of HeartMath can help every single person out there. It is something that we have forgotten, something we have been programmed away from and need to reconnect with this very integral part of each of us. We can change our world one heart at a time. So really, who can this help is you must have a list? Anyone seeking to improve intuition, clairaudience, clairsentience, claircognizance. Busniess owners needed to add more heart to a wanning business. For business employees. Studies have shown there is greater production and gratitude when using HeartMath programs. Everyone has a challenge and every heart has the answer. What does it mean to be Heart Coherent? Coherence is an optimal state of functioning. How would one know they are in heart coherence? How do you get into coherence if you are not? What are the benefits of being in an optimal state of functioning? The heart has its own central nervous system and it talks to the brain. By being in a positive, loving and joyful state it makes it that much easier for the heart to communicate correctly with the brain. Less miscommunication, misunderstanding and better decision making, especially when on the fly. But being in coherence also means we are more able to intelligently manage our energy. We recognize and stop energy leaks, drains and energy vampires. We also can hear the subtle intuitive messages and guidance coming from our hearts. Most people do not realize that our connection to our inner most intuitive selves is through our heart center. The heart is our conduit to the Divine. But if we are constantly in a state of non-coherence we can be over taken by negative emotions. Heartmath is one of the interventions that deals with emotions and the feelings of those emotions. We can take our negative emotions and reprogram them, even those who have lived a lifetime of programming to where these negative emotions have become who they are. And its all done through the heart. 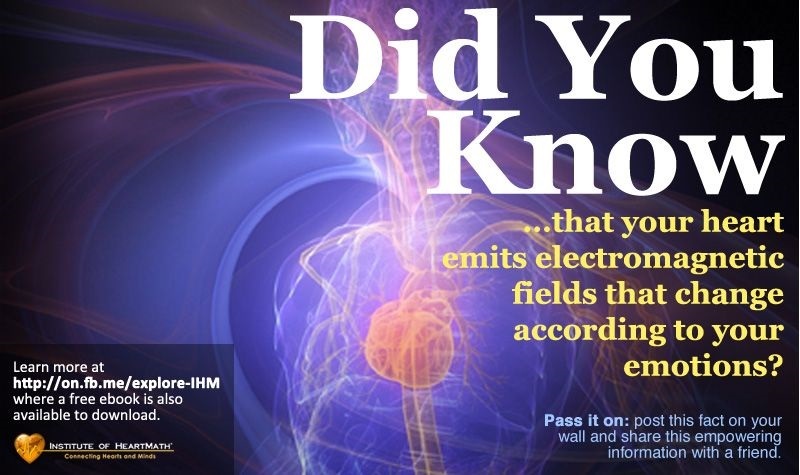 Did you know that with each heart beat the heart sends out a burst of electricity into the electromagnetic field? It is sending out information about you and what energy level you are at and if it be negative or positive. So many people who think they are coherent when hooked up to one of HeartMaths monitors are surprise to find that is not totally the truth. Even those who say they spend so many hours a day meditating. Meditation helps in the moment but does not stay with you once you are back out into the crazy world. But, meditation coupled with HeartMath work would be so much more effective. It is now time for us to take responsibility for what we are feeding the energetic field the electromagnetic field around us. Because it can affect not only ourselves but those around us, our friends and family members etc. If we are in more of a state of coherence it means we are more positive, and we have a full energy battery. Which in turn makes us more resilient when we have challenges come our way. Our heart is our protective shield and with a strong shield we can then let most of life’s negative issues flow through us and not drain us by lowering our vibration, our personal energy frequency. We all want our energy frequency to be as high as possible to protect us from those things out there that would drag us back down into the dark. Most of my clients take 4 sessions to really get a grasp on this. If you are looking for much more than you can move onto Advanced HeartMath, click on the button and go to that page for more info. A liability waiver must be signed prior to seeing the horses. This is a non riding session. We will be practicing the Heart Techniques with the horses and the last 2 sessions will include doing special energy exchange techniques and the bladder meridian exercise to anchor in the feeling of sending and receiving appreciation. These are hands on exercises. Working with the horses and being in their heart field range leaves you feeling like you just had Reiki, acupuncture or any other energetic healing session but amplified because of being in the presense of these higher vibration beings. Expect miracles and breakthroughs. If you are allergic to horses you can do the heart connect exercises without touching them. But any reactions you still experience are at your own risk. My name is Sylvia. I am a mother of four and I am going through a divorce. I am representing myself in court. Denice has been such an enormous help with Heartmath helping me add new tools to my toolbox to energetically come back to myself and transcend the challenges. I highly encourage Denice to you if you are experiencing any challenge. I felt lighter and more empowered every session. I want to tell you thank you for teaching me the HeartMath. It has given me more tools to use to release things from situations that come up. I have this has helped me a lot. You are a real gem.